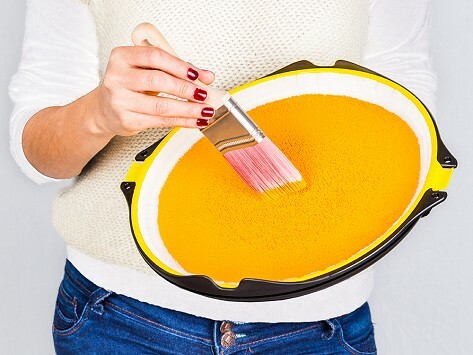 This anti-gravity paint tray lets you paint with less hassle and mess. It’s like a palette you hold on your hand, with a unique fabric liner that holds paint in and won’t spill it, even upside down. You'll be more mobile (no need to lug the can around) and able to paint faster and more efficiently. 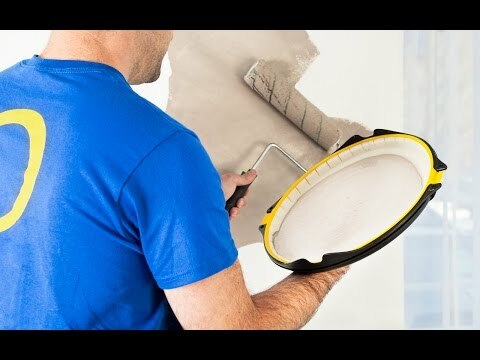 Run your brush or roller along the tray, and a suitable amount of paint transfers on easily, no need to wipe off excess paint and no fear of drips. Dimensions: Base: 13" diameter; Liner: 13" diameter x 1.5"; Squeegee: 4" x 1.75"
Your home projects will be more like works of art, with a lot less time and hassle.